SPC Construction and Roofing offers top-quality Dallas roofing services. We also work in the surrounding areas, like Southlake, Euless, Grapevine, Frisco and Colleyville. Making us your full-service Dallas and Plano roofing contractors that offer a variety of services to both residential and commercial or industrial customers. Our installation team is outfitted with the best tools and innovative products for roof replacement, maintenance, and repair. No matter your roofing need, SPC Construction and Roofing can help! Has your roof sprung a leak? In the aftermath of hurricanes, storms and other severe weather, SPC Construction and Roofing is ready to assist you in the repair of your home or business. We are experienced in working with insurance companies to make sure you get the roof repair or replacement you need. As your premier Plano roofing contractors, SPC Construction and Roofing works with our customers to be prepared for the next storm by forming a long-term relationship. So, the next time disaster strikes, we’ll be there to repair your roof, and keep you dry and safe. Read more on Emergency Roof Repair! The most effective way to get the most out of your current roof is to maintain it. Unfortunately, it’s not always as easy as working on your roof for a few hours on the weekend. That’s why SPC Construction and Roofing offers more than just installations and repairs. Our team comes in and does periodic checks on your roof to ensure small repairs are made before bigger ones are necessary. 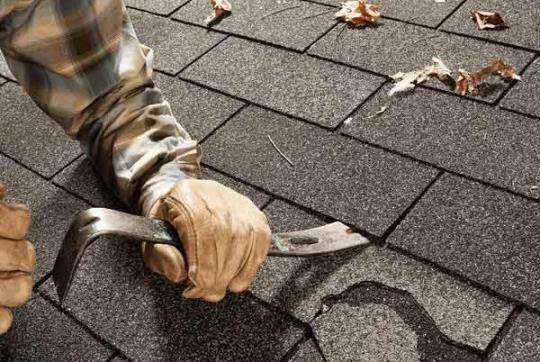 This way, your roof lasts longer and you can prepare for upcoming repairs. Learn more about our Roof Maintenance Services! Storm restoration isn’t just about fixing a roof, it’s about response time. SPC Construction and Roofing is ready following any weather emergency to assist our customers in getting their roof and their lives back together. After severe weather, rest easy knowing SPC’s team of professional roof installers awaits your call. For less emergent repairs, such as hail damage, our team assesses damage for free. If an insurance company has already assessed the damage, SPC Construction and Roofing can help create a quote based on the claim. We’ll work within your budget to get your roof replaced or repaired. Read more about Texas Storm Restoration! Replacing old, rusted gutters is a time-consuming project. Leave it to the pros at SPC Construction and Roofing to install updated, aesthetically pleasing gutters in your home. From aluminum to copper, our team installs it all. If you have questions regarding what materials and gutter styles (e.g. half round and fascia gutters) are best, the SPC installation team, as your top-rated Dallas and Plano roofing contractors, will have suggestions for you! Discover our Gutter Replacement options! Get Your Free Roof Inspection Today From the Best North Texas Roofing Contractors! Not sure about what roofing repairs are needed for your home or business? SPC Construction and Roofing offers FREE roof inspections. Just fill out our easy online form and we’ll have a professional estimator to your property in a flash. They will go through a checklist of common roofing issues with you, so you can see what repairs might be needed. Then, we can discuss any repairs your home or business needs. We’ll work with you and within your budget to find the perfect roofing solution. Do you need Dallas roofing services?